What are the Hydrolyzed Peptides? What are the properties and benefits of HydroBeef? Who can benefit from 100% HydroBeef? 100 % HydroBeef by Quamtrax is a product made of hydrolyzed peptides from lean beef. The protein peptides are smaller (they have short peptide chains) which means that their digestion is faster and it reaches the blood flow sooner than other types of proteins. Their absorption will be practically instantaneous on behalf on the organism, which will favor a sudden increase in the concentration of amino acids in the blood to support a fast muscle recovery and to provide a stimulus for the synthesis of proteins. 100% HydroBeef has been enriched with Creatine, BCAAs, and Glutamine with the Kyowa Quality™ seal. This blend of nutrients and amino acids contributes to create an anabolic and anti-catabolic effect: it accelerates the recovery processes after the workout and enhances the development of the muscles. The recovery phase begins just after we finish each workout, and we should make sure that our body is completely recovered in order to face the following sport session. In this sense, 100% HydroBeef and its hydrolyzed protein from lean beef provides an absorption rate that will quickly counter the breakdown of muscle fibers that is produced by physical stress, which will guarantee an optimal regeneration process. 100% HydroBeef has a delicious flavor and it has been enriched with micronutrients: Essential Vitamins and Minerals that will meet any type of deficit, as well as improve the nutritional value and promote the health of the organism in general. 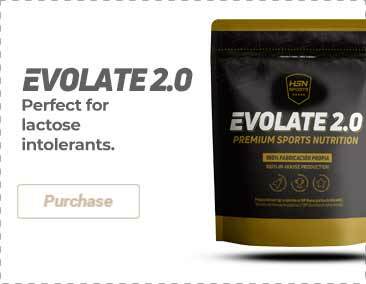 Sportspeople and/or Athletes who want to improve their recovery and muscle development, while providing a fast absorption protein that will be absorbed quickly. Anyone who wants to increase the protein content from the diet. Those who want an alternative to whey proteins. Hydrolyzed meat protein peptides, bulking agent (maltodextrin, defatted cocoa powder, creatine monohydrate, soluble coffee, Kyowa quality l-glutamine, flavorings, medium chain triglycerides (MCT), sodium, sweeteners: sucralose and acesulfame K, BCAAs (L-Isoleucine, L-Leucine, L-Valine), anti-foaming agent E900, magnesium oxide, dicalcium phosphate, iron gluconate, vitamin C (ascorbic acid), zinc sulfate, anti-caking agent (silicon dioxide), vitamin E (tocopherol ), vitamin B3 (niacin), vitamin A (retinyl acetate), vitamin B5 (pantothenic acid), vitamin D (cholecalciferol), vitamin B6 (pyridoxine), vitamin B2 (riboflavin), vitamin B1 (thiamine), vitamin B9 (folic acid), potassium iodide, D-biotin, vitamin B12 (cyanocobalamin). Take 1 scoop (50g) mixed with water during breakfast. Take another serving (50g) immediately after training.